The internet giant is one of 32 new members of the NFC standards organisation. Other well known names to join the association include car maker Daimler and electronics giant Hitachi. 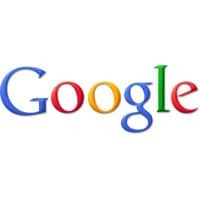 Google has joined the NFC Forum as a Principal member and existing members CSR and Intel have raised their membership status to Principal level. Principal membership is the second-highest level of membership in the NFC Forum. Each Principal member is entitled to appoint a voting representative to each of the technical, marketing, and compliance committees and working groups. Principal members can also designate individuals to run for positions leading committees or working groups. Crucially, only principal and sponsor level members are able to use their own in-house facilities to conduct NFC Forum certification testing, rather than having to send devices out to a third-party testing facility. A further 31 organisations have also joined the NFC Forum. New associate members include: A&D, AQ Corporation, China Telecommunication Technology Labs, Communications Global Certification, Daimler, FIME, Hitachi, ICT Korea, Kovio, KTC (Korea Testing Certification), National IT Industry Promotion Agency RFID/USN Center, Rohde & Schwarz; SK C&C USA, Soliatis, Sporton International, TA Technology (Shanghai), TTA and VI Service Network. Recent additions to the Forum’s membership at Implementer level include 3A Logics, DeviceFidelity, HOTech, i-Free, MagTek, MStar Semiconductor, MtekVision, Poken, Sysnet Group, Tuomi IT, Via Licensing and Waldemar Winckel. Logyca has also joined as a non-profit member. Amazon planning NFC payments and marketing service?